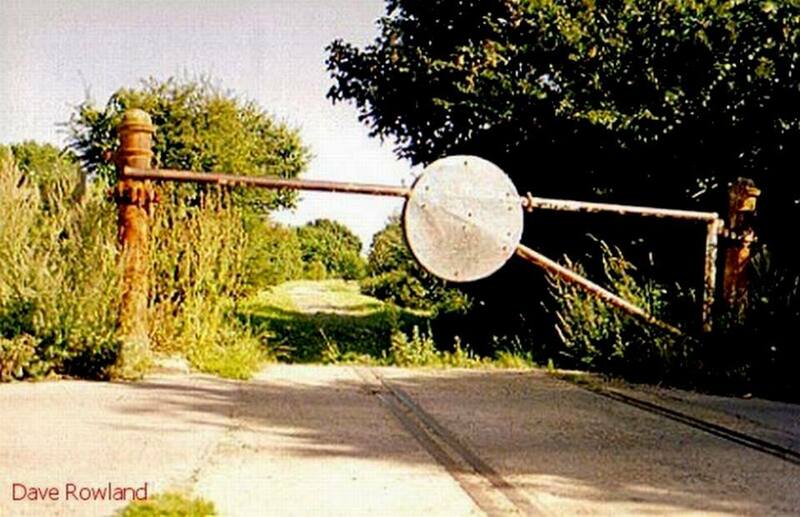 The rudimentary MoD crossing gate at Monks Walk (the end of Ham Lane), looking along the trackbed towards St Thomas’s Road. A roundabout on Heritage Way now occupies this site; the road leads to Don Styler’s gym to the left. Photo taken Summer 1998.